Kindle Voyage vs. Kindle Paperwhite: Which One to Pick? Not long ago, avid readers with multiple books were left with no option but to carry any books they were reading with them. This resulted in heavy backpacks and damaged books. The problem of bags bursting with books was an ever growing problem. Enter the Amazon Kindle. Amazon envisioned of providing everyone with an amazing source for online books and stayed true to its roots with the Kindle line of e-readers released in 2007. Readers rejoiced and the initial release sold out in less than a day and wasn't in stock again for over five months. 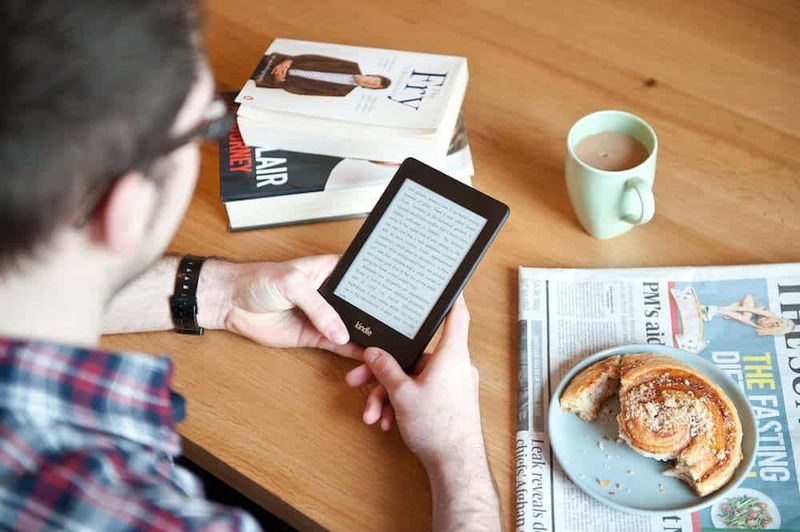 It's been eleven years since the first e-reader was released by Amazon and a lot has changed. 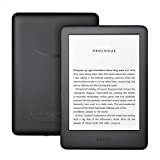 Kindle has branched out with multiple variants of its original e-ink device, as well as challenged companies like Samsung with its full color, full function Kindle Fire line of tablets. Still, Amazon's e-ink devices are a viable option today. With incredible battery life, low storage requirements, unique, easy on the eyes display all weighing in at less than a paperback book, this lineup of devices is still a clear winner among the book reading crowd. Because there are so many to choose from, it can be difficult to decide exactly which one to go for. 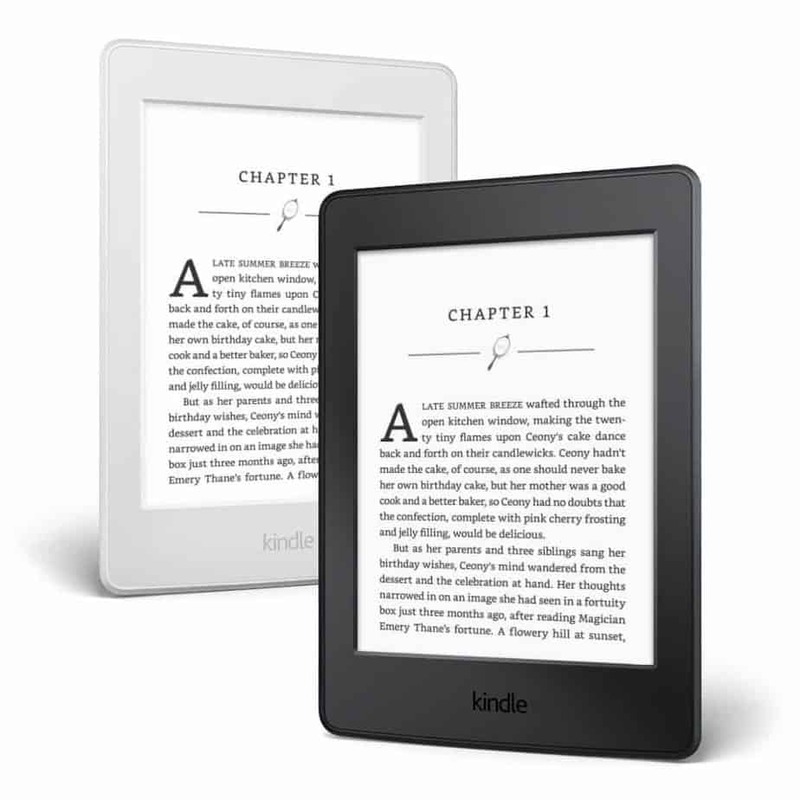 In this article, we are going to compare two of the most popular e-ink variants of the Kindle. The Kindle Voyage and its big brother, the Kindle Paperwhite. While these devices are very similar, there are a few differences that might be important to consider when selecting your new device. The most important part of any device that you look at is the screen. When it's a device that you're reading books on, it becomes even more important and eye comfort deserves a premium. Thankfully Amazon delivers with both of these devices. Both the Paperwhite and the Voyage have front-lit displays and paperback size screens, perfect for reading. The biggest difference between the Paperwhite and the Voyage lies in the quality of the screen. Because of the cost, the Paperwhite uses a plastic touchscreen display. The Voyage, on the other hand, uses a smoother, clearer, glass material. This screen is also flush to the device creating a friendlier touch experience than the recessed screen of the Paperwhite, which tends to trap dirt in the corners and is difficult to get out. The Voyage also adjusts the screen brightness to account for the light in the room around you. This means that if you are reading in bed, your screen will be darker so as not to hurt your eyes. Although the displays carry most of the same features, the flush, glass display, and the ambient light sensor put the Voyage ahead of the Paperwhite for the above average reading experience. You'd think that storage would be super important when it comes to a reading device. I mean, who wants to be deleting books to make room for other books? No one should be forced to choose like that. Fortunately, the common explanation is that you can fit about 1000 books onto 1GB of storage. Because of this, Amazon was able to keep the cost of both of these e-readers relatively low. While the Paperwhite used to come with a mere 2GB on board, it has doubled to 4GB with the newest iteration and this brings up to par with the current version of the Voyage. This means that no matter which device you get, you will be able to store about 4000 books. 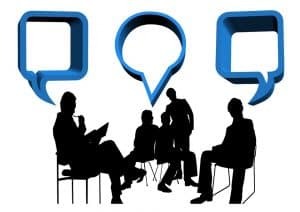 Battery life is important when you are talking about something that you are likely to spend hours reading on. Afterall, if you're anything like me, you'll be using your Kindle when you're traveling, on lunch breaks, commuting, and any time you are occupied with something more important. Kindle estimates that both of these devices could stretch its battery to six weeks if you keep your brightness on 10% and read for thirty minutes a day. So if you read more than that, your mileage will vary. It should be noted that with the new improvements to the Paperwhite, its battery life has actually dropped from eight weeks to six. Even though that's a significant drop, we are talking over a month still, which is impressive considering most smartphones last a mere one to two days. So there are no fears of your kindle dying if you decide to bring it along on a camping trip, provided you remember to charge it up before you leave. There is no doubt that Amazon has made two great of similar devices. So what are the differences? There is more going on here than meets the eye. See the most recent Paperwhite came out in 2017. Comparatively, the last Voyage came out in 2014. With the booming popularity in audiobooks, Audible has become more and more popular among Kindle users as they can listen to books while driving or just doing anything, in general. With the growing use of Audible comes with audiobook support on newer Kindle devices. This means that if you have a 2017 Paperwhite, you will be able to listen to, and read all your books on the same device. Being made out of plastic also makes the Paperwhite slightly more durable. The screen, while easier to scratch, is not fragile overall compared to the screen on the voyage. The body is pretty durable too. This is a device that could take a drop or be handed to a kid with relatively little worry. As I mentioned previously, the Voyage hasn't seen an update for quite some time. Unfortunately, it doesn't support audio books and this means that you'll need to really decide whether or not you plan to listen to any books using your Kindle. There are some upsides to the Voyage. The flush screen is very nice to the touch and the device somehow feels more premium. It also has some convenient features on the sides of the front of the device that allow you to turn the page without touching the actual screen. Another thing to consider is the rumor circulating about a potential refresh of the Voyage. This is further backed by the fact that only the base model of the Voyage is still for sale by Amazon. This can mean one of two things. Either the Voyage is getting a refresh or the device will be shelved in favor of the newer Kindle Oasis. Finally, there is the matter of cost. The Kindle voyage is $80 more expensive than the newer, more feature rich Kindle Paperwhite. Amazon gets bigger and better every year. It continues to release newer devices with better features with no signs of stopping, while still staying true to the original and inexpensive design of the Kindle Paperwhite. So should you buy a Kindle Paperwhite or should you opt for the more expensive Kindle Voyage? Amazon has done an amazing thing by keeping the cost of the original paperwhite so low, in spite of it keeping up with current features. Unfortunately, the cost of the Voyage is $80 higher than the Paperwhite, with no noticeable differences in core features. While the future of the Voyage is uncertain, Amazon has done an amazing job with the Paperwhite. It has some of the best features at a much more reasonable price point. We'll see what the future has in store for the Voyage or if it's on its last Voyage. For now, though, the Paperwhite is the clear victor. If you're looking for a better Kindle with enhanced features, the Kindle Oasis is Amazon's current, premium e-ink reader. Earlier, I mentioned the Kindle Oasis. 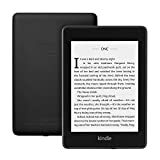 If you are really bought into the idea of a premium Kindle device but you want the newer features and updated specs of the current Kindle and you don't want to wait for a Voyage refresh, I suggest checking out the Oasis. 2017 brought with it the Oasis 2 which is waterproof, up to two meters of fresh water for an hour; meaning that you can finally take your book to the bath without worrying about ruining it. It has a larger 7" display and it is designed with one-handed use in mind. The Oasis comes in 8GB and 32GB of storage which is over 8000 books! It also has built-in support for Audible. Keep in mind that the Oasis is lacking a headphone jack so you will need to use Bluetooth to connect to either a headset or an external speaker. Disappointingly, the Oasis does not include a USB Type-C port for charging and no headphone support with a dongle. The device also comes in at around $250 as the starting price and increases with additional storage. For the average reader, this device is probably not going to be worth the extra cost, but it is something you may opt buying. 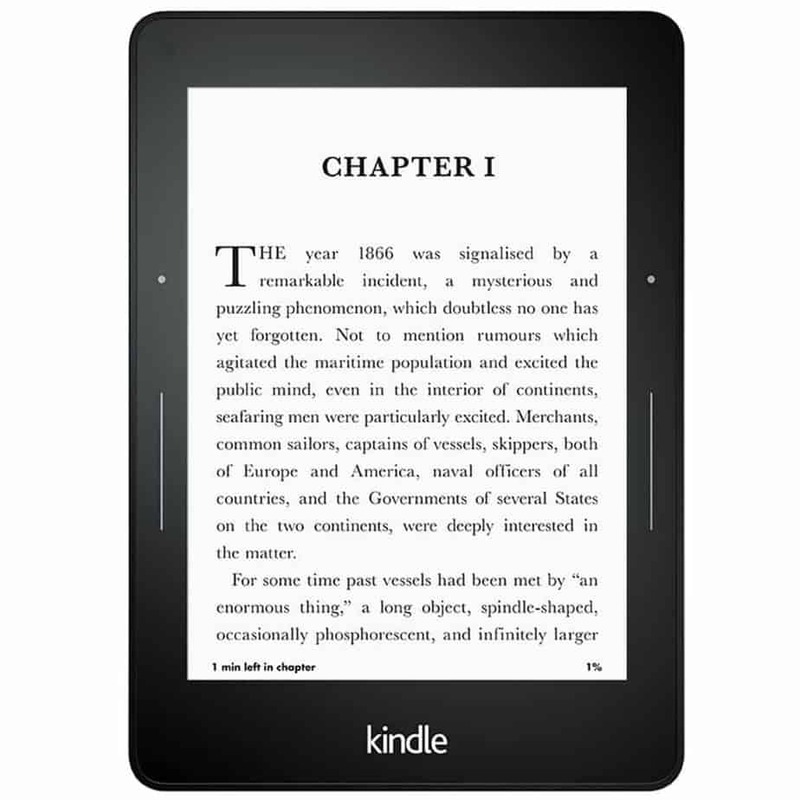 You may also want to look at the regular Kindle E-Reader or the Nook Glowlight as part of your choices. With the Paperwhite, storage is something to consider if you plan on downloading a lot of audiobooks. While you can fit 4000 books on 4GB of storage, it's worth mentioning that only about 16 books will fit in the same space, leaving no room for regular books. If you do need lots of audiobooks, I recommend the 32GB Oasis. The extra cost will be worth it in the end. While we think the Paperwhite is the clear choice, we always love to hear from you. Do you own a Paperwhite or a Voyage? Do you like it or would you prefer to have bought the other? Are you on the fence about which one to buy? Have we helped you make a decision? What do you think about the future of the Voyage? 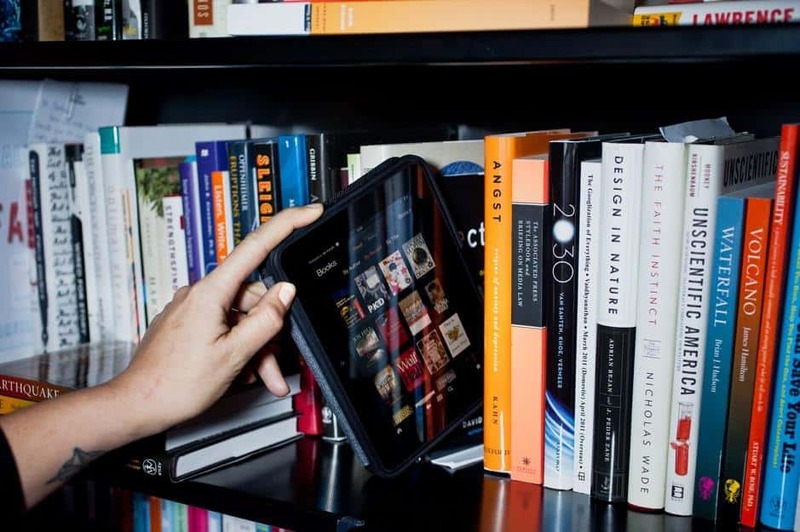 Print Books Vs. E-Books: What’s the Future of Reading?